Patrick J. Sullivan died July 20, 1992 in a crash of the Bell-Boeing V-22 Osprey prototype #4 at Quantico, Virginia. He was 43. Sullivan joined Boeing Defense & space Group, Helicopters Division in 1989 as a project test pilot, after retiring from the Army. He became the Division's prime pilot for the V-22 program at the Boeing Flight Test Center in Wilmington Delaware. Sullivan served two tours of duty in Vietnam, flying transport missions. He also attended Navy test-pilot school at Patuxent River, Maryland, and worked at Edwards Air Force Base in California. The six other people aboard the aircraft also died in the crash including three of Sullivan's Boeing co-workers - Gerald W. Mayan, Robert L. Rayburn, and Anthony J. Stecyk, Jr. The US Marines on board were Maj. Brian James, Gunnery Sergeant Sean Joyce, and Master Gunnery Sergeant Gary Leader. 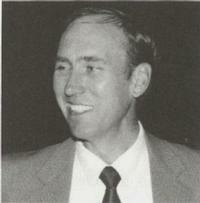 Sullivan joined the AHS in 1990.